Your voice matters and we are blessed and humbled to have the most amazing community support our show! Your journey is sacred and we honor your sharing about show content, mini soul reading experiences and asking your questions! Thank you both for your amazing work and radio show, which I drink in every Sunday 8pm. It’s a weekly highlight. I’m in the escalator! I did the Navigating the Inner Matrix and abundance courses recently with you both. They were amazing and I still do the practices daily. Thank you. I feel like my life is taking off after what seemed like a long dark tunnel. Thank you so much Kira ans Sri for the encouragement and insight for me to return to LosAngeles! It was a brutal first go around where I stayed at 33 different Airbnb’s in 6mos but I know I was adding light to the grid all around LA. It’s no surprise that I’m being aligned with Elon Musk to find backing for this cosmic insight that I’m being downloaded with since he’s “obsessed” with Mars…lol. I am not to patent the cosmic insight but to open source it and make it affordable for all those who are of the Light. It is time for miracles again. People need hope when their reality is falling apart. Here’s to a peaceful n loving paradigm! Hi Sri and Kira, many blessings! Thanks for all of the positive vibes that you share with the world! I am so happy you liked the images I sent! You inspire me! Thank you for the on-air shot out, my heart is overflowing with gratitude! Woo Hoo – Love the new radio website! Thank you for all you do. I just wanted to take a moment and thank you SO much for your mini-soul reading on yesterday’s show. I just had a chance to listen to it again (I got on around 36:00 minutes in) and tears began to stream down my face with so much love and gratitude for the beautiful affirming messages. You have both been such a potent, positive influence in my ascension and have been the greatest mentors in my life. I am deeply honored to connect with your energies. Whenever I listen to the both of you, I am instantly uplifted and I can feel your warmth and wings around me encouraging me on my path of mastery and healing. Thank you for attesting for my previous trip cancellation as the trip was a HUGE week long event (which I have gone to for the past 2 summers) that brings together my friends from all around the world. I love how you mentioned the ego because in that cancellation decision, I really put my ego aside, went into my heart-space and there I found the choice to not go this year. After I officially cancelled, the Cards of Clarity really put me at ease with my decision. Instead, I will be spending intimate time with my husband on a trip and then we will be attending a retreat together for this upcoming weekend. I am looking very much forward to all the inner work and transformation that will take place not only for myself, but for my husband. 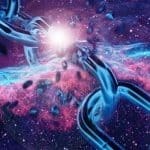 This also made me feel at peace with my choice as it will expand the sacred relationship I hold dearly with my husband in ways that will bond us even further into oneness. At the end of the day, friends may come and go, but the sacred union with my partner extends beyond the cosmos and this lifetime in a very profound ways. Your words about waking up in the morning thinking about how would a queen talk and handle certain situations allowing the ego to drop and be of service was so incredible and so spot on, I’ve been trying to do this daily from the divine goddess perception but again, hearing it from you is just so encouraging and inspirational and I just wanted to take the time out of my day to thank you again with so much love and appreciation. Thank you so very much for kindly answering my email request and the mini soul reading you gave me on air last Sunday. I am so grateful for your love and kindness and your beautiful heartfelt work. Thank you so much. I love you both. I’ve just signed up for your course in September which I know will be amazing. You are both such gifts to us all. Infinite blessings and thanks for your loving kindness. Thank you so much for the beautiful gift of your loving response…I so appreciate the way you radiate love and joy and kindness! Thank you so much for my beautiful mini soul reading! I was so excited when I heard you read my mail and give me the reading on the show. I actually had tears in my eyes it was so beautiful:) thank you!!! I’m super amped for the next four years to unfold as I step into my true self and let go of fear- thank you 🙂 it was so perfect! As you spoke of roses I looked next to me at my bottle of rose geranium oil and couldn’t help giggling- I will now wear it with even more intention! I have been following your wisdom for over 7 years now and you have guided me in my self-Ascension over these years . I am an Empath and very intuitive as well and many , many amazing things are happening to me with the energies that are now here on our beloved Gaia 🙂 I am divinely guided always and feel my Angels love around me always . When I ask a question I am immediately given the answer in my mind ! My intuition is growing and I am so grateful . I have known for awhile that I am an Angel of Healing and I am trying to figure out what modality I am meant to serve with , and WHERE ! No concrete answers have been forthcoming , however . I know the answers will be shown to me when the time is right Sri and Kira . Thank you so much for my reading on air after reading my email. I’m comforted by such wise and loving guidance and will move forward now with a vibration lifted into greater integrity and beauty. Thank you so much for reading my email! After yesterday’s show the capacity within me to Trust has increased immensely. I also feel this resurgence of inspiration towards taking on a greater level of responsibility in my life and my actions which I think I’ve been avoiding for some time. Wow, you are both such a gift. 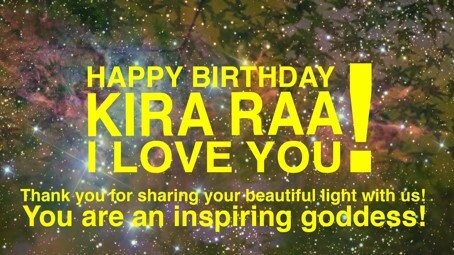 Thank you so much and Happy, Happy Birthday Kira! Sending you lots of love and hugs. I wanted to thank you so much for your psychic prowess & intuition to help me understand our portals into the divine. I can’t wait for action, let mother earth and Father Time be one. I do feel today that I am adrift. This feeling is uncommon for me. just breathe…Kira, sometimes it’s the only next thing to do. So amazing how gentle you are amid your knee healing.